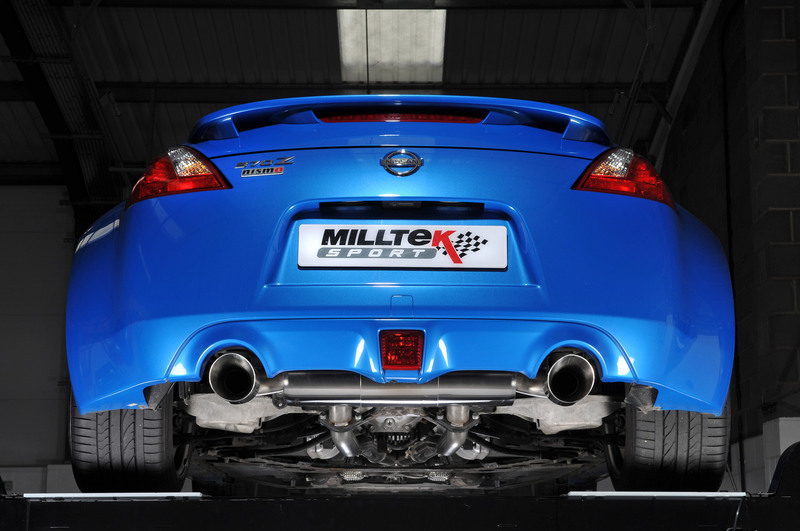 Milltek has created yet another masterpiece in the form of its all-new performance exhaust system for Nissan’s popular 370Z. This long-awaited upgrade has passed all of Milltek’s rigorous laboratory, road and track tests and is now available for sale. 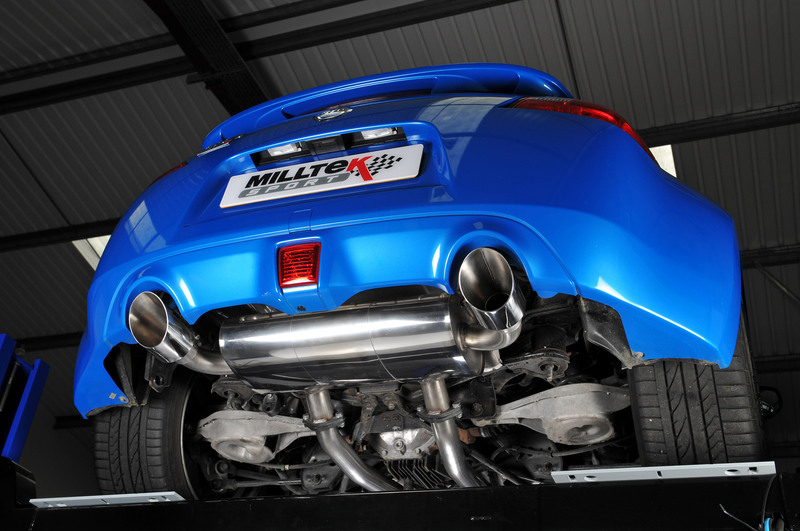 Each system is hand-crafted in Milltek’s own factory in Derbyshire, England and uses the finest quality, non-magnetic stainless steel to endow the car with an effective combination of subtly enhanced looks, combined with noticeable improvement in power, torque and driveability. The system follows Milltek’s tradition for exceptional quality and fit, combined with a complete absence of cabin resonance. Milltek’s engineers have gone to great lengths to ensure that the system balances an enviable dynamic improvement without the usual acoustic ‘drone’ associated with aftermarket systems. Based around CNC mandrel bent 2.5-inch / 63.5mm tubing, two variants are available. 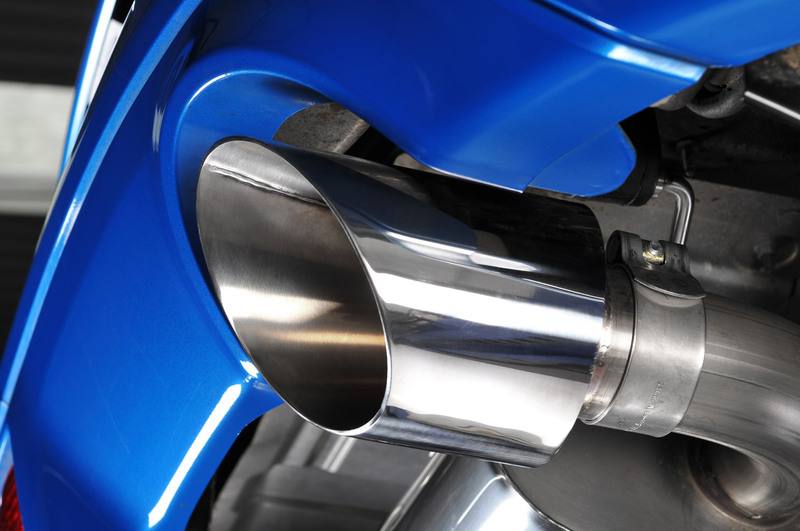 The fully EC-compliant system precisely mirrors all OEM silencer locations and is the ideal choice for those looking for more covert power gains. 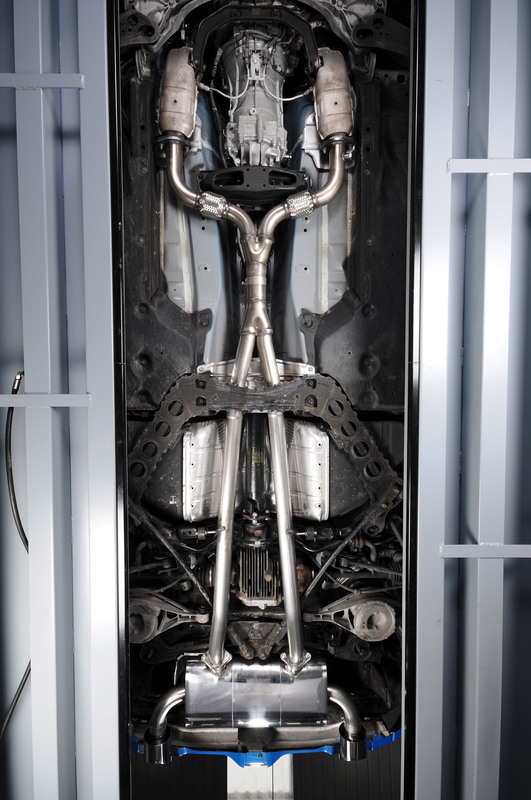 Also available is a more extreme version, which deletes the centre silencers for a superbly crisp and sporty soundtrack. 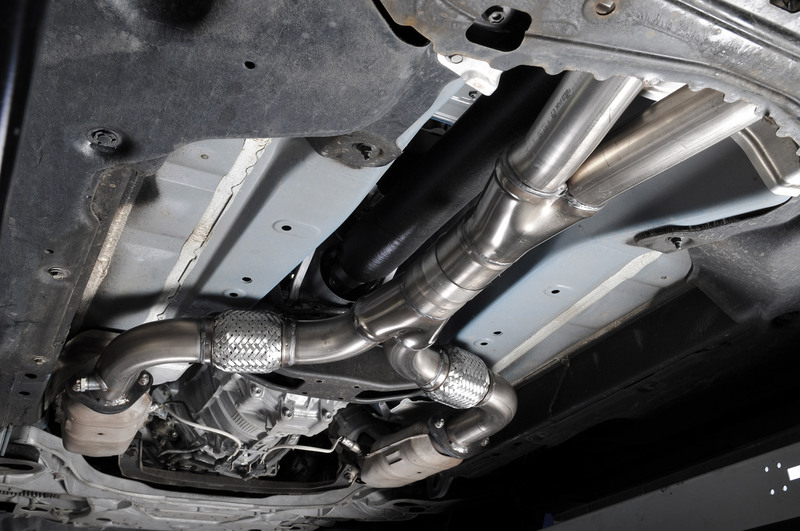 In keeping with Milltek’s understated European design language, the tailpipe options all have more than a hint of ‘OEM+’ about them. 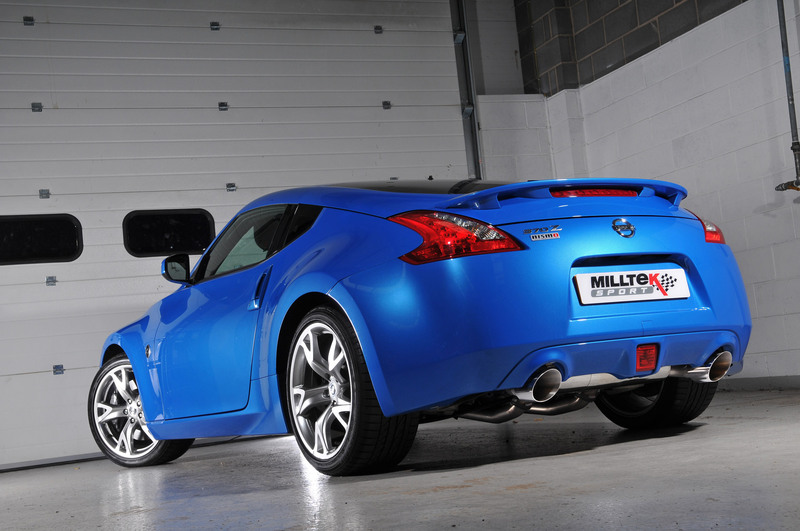 For the 370Z, Milltek created a bespoke 115mm tailpipe trim to precisely follow the contours and proportions of the Nissan’s rear bumper. These special trims are available in a choice of either titanium, ceramic black or mirror-polished stainless steel.